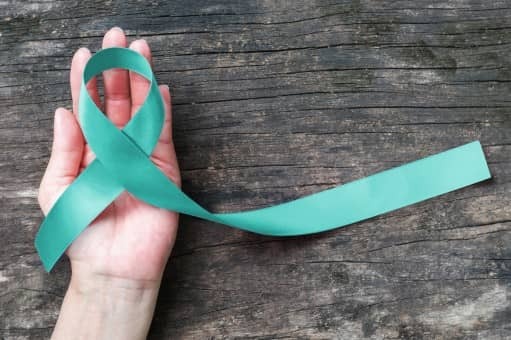 Since September is Ovarian Cancer Awareness Month, medical practices and healthcare providers take it as an opportunity to educate the public about the risks, symptoms, and treatments associated with the disease. For women, ovarian cancer is one of the most deadly diseases. Approximately 20,000+ women are diagnosed with ovarian cancer annually. If the cancer js detected at its earliest stage, the five-year survival rate is more than 93%, though women rarely seek help until the cancer has already spread. Rapid growth and multiplication of cells in the ovary results in a tumor and it’s what causes ovarian cancer. Contrary to the belief, all ovarian tumors aren’t cancerous. However, negative effects can emerge if the tumor growth spreads to other parts of the body. Moreover, ovarian cancer that is detected after spreading to other regions of the body can be very difficult to treat. Medical researchers are constantly looking for the cause of ovarian cancer. They are searching for a direct link between the growth of the tumor and the spread to other parts of the body. Although they have yet to find a direct cause, they discovered a number of factors that contribute to the development of ovarian cancer. For starters, they found that women aged 63 and over have the highest chances of being diagnosed with ovarian cancer. For this reasons, professionals advise women in this demographic to consult their doctor and get screenings regularly. However, the greatest of them all is the use of talcum powder over a prolonged period. The recent verdict with regard to the talcum powder lawsuit against Johnson & Johnson has raised concern among women who have been using their talc-based product for personal hygiene purposes. According to consistent research, using talcum powder on the genital area regularly increases the risk of developing ovarian cancer. Because of Johnson & Johnson’s large customer base, many women have used products like Shower-to-Shower and baby Powder as part of an everyday hygiene practice. The company, however, did not add warning labels on their packaging to warn users of the potential risk. Due to the brand’s negligence, women are seeking compensation for their distress. Johnson & Johnson is now facing well over a thousand lawsuits that allege failure to warn users about the risk of using talc-based products. Since the lawsuit passed in 2016, the court ordered the company to pay damages. The total amount of the compensation is $130 million, which the affected women will receive. If you or a loved one regularly used talcum powder and were diagnosed with ovarian cancer, contact The Eichholz Law Firm today for a free consultation. The Eichholz Law Firm has a team of experienced attorneys that will help you with your case.